There are times when the beauty of a husband and wife just speaks for itself! It was my privilege to serve as this bride and groom's wedding officiant near Columbus, Ohio, at Corazon wedding venue. Bin Zhu and Jia Shi's rehearsal photos were posted in our last blog. They just sent me some images of their wedding day, and this one stood out. Thanks, Bin Zhu & Jia Shi! I was so happy to be a part of your lives and your very special day! 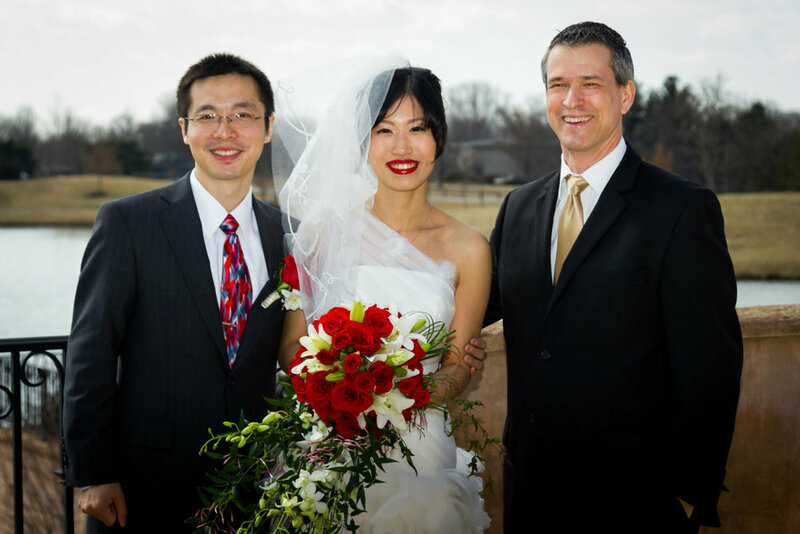 Husband and wife, Bin Zhu and Jia Shi, share a special moment with wedding officiant, Damian King, near Columbus, Ohio.